A drunken assault on four police officers was said to be out of character for a first time offender. 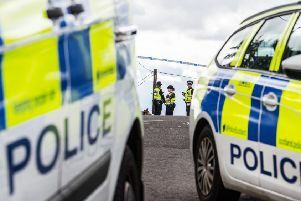 Michael Dunleavie (29), 36 The Vennal, Linlithgow, set about the quartet of cops as they tried to arrest him in Falkirk. Dunleavie appeared at Falkirk Sheriff Court last Thursday having admitted the assaults he committed in Grahams Road on July 24. Dunleavie was placed on a community payback order and told to complete 160 hours unpaid work within four months.